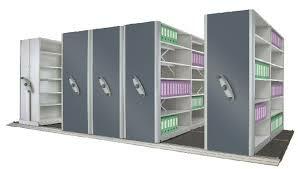 Main objective of this article is to describe Mobile Racking Systems. Mobile Racking Systems are storage system’s as well as units, that is usually maneuvered about the workplace, or work area. For this motive, mobile racking systems usually are mounted on wheels, rollers or is also motorised. Motorised mobile racking systems enables maximum utilization of a warehouse area, but still allow 100% entry to the pallets. Most of these racking systems are fixed onto electrically centric bases, allowing the system to move about rails embedded inside the floor. Most of the Mobile racking systems are: Electrically powered, Mechanically assisted and Manually operated.